Japan is a fascinating case study of innovation in transportation. The country radically outcompeted American manufacturers of cars and motorcycles in the 1970s, bringing less expensive, more efficient, and more reliable products to North America and the world. They have had extraordinary success globally in racing circuits for two- and four-wheels. 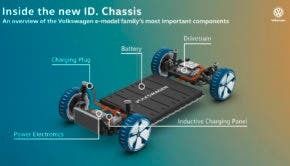 And for the past two decades, most of the major manufacturers have been more focused on hydrogen- than battery-electric vehicles. This is true in the automotive space, where the Honda Clarity and Toyota Mirai hydrogen fuel-cell vehicles remain, perplexingly, available for people to buy in a couple of markets, and Japan doubles down on its commitment to hydrogen. But it’s also true in the motorcycle space, with Honda continuing to attempt to square the circle of hydrogen for two-wheelers. Only Yamaha has had a long commitment to battery-electric two-wheelers, with 25 years of electric bikes including four models for sale in North America, a decade of electric scooters, and now a competition trials motorcycle. Finally, companies other than Yamaha are starting to realize that the path to commercial electric two-wheelers is the battery path. Honda can easily claim to be the most successful personal transportation company in the world. Its Honda Cub scooter, in continuous production since 1958, exceeded 100 million total units manufactured in 2017, making it the most produced motorized vehicle in the world. For comparison, the Volkswagen Beetle barely broke 20 million units globally. 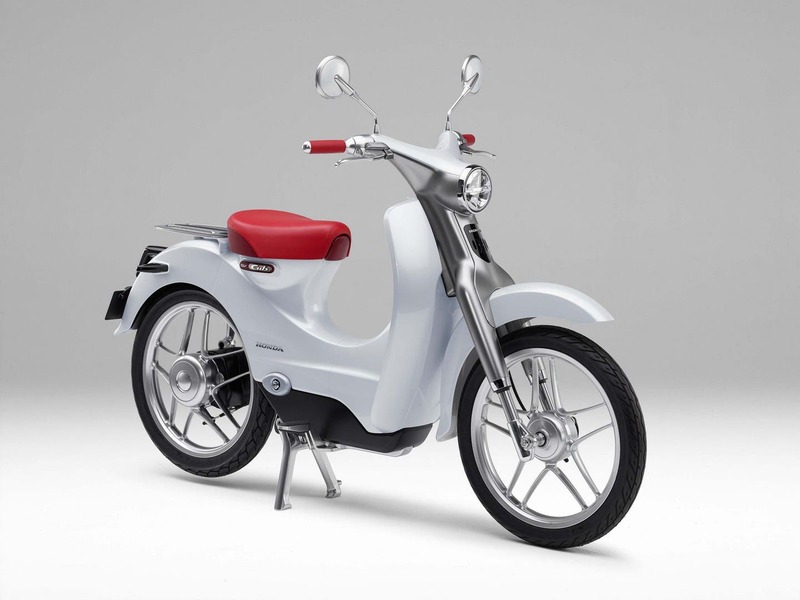 Now, finally in 2018, Honda is starting to release electric two-wheelers, with both its iconic Cub and its much more modern PCX scooter having removable-battery versions available mostly in Asia. Kawasaki went a different route. Despite its long history of race-winning and rider-pleasing motorcycles, its initial commercial foray into electric vehicles is decidedly down-market. There are two wheels on a couple of those electric rideables, but arguably only the stand-up scooter could be considered a viable last-mile transportation machine, with the other two definitely in the quirky toy category. However, Kawasaki is stepping into the fray with a product which supports the emerging thesis that the future of motorcycles is electric bikes. 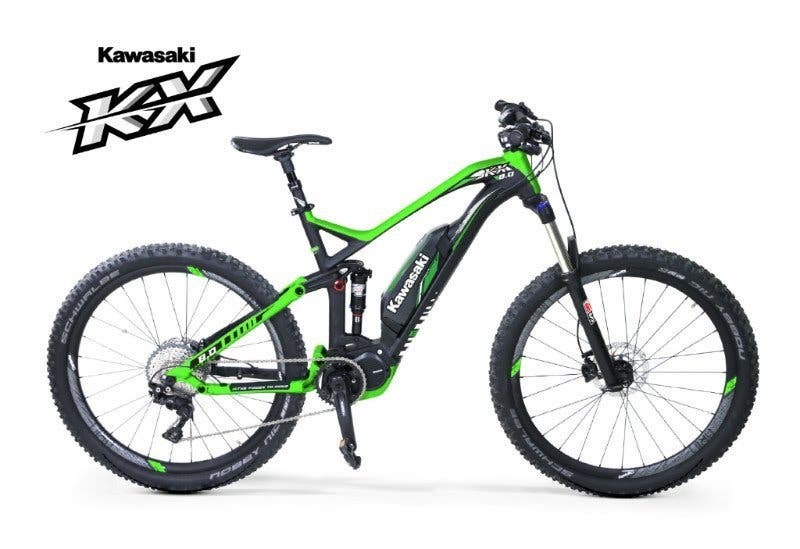 Kawasaki is extending the KX branding out of dirt bikes for the first time with the KX electric mountain bike. Available in 2018, it’s an electric, full-suspension go-anywhere machine that indicates that Kawasaki’s focus on electric leisure products will be different than its historical internal-combustion focus. But what about Suzuki, maker of dozens of motorcycle and scooter models of all types since 1952, as well as all of its cars? 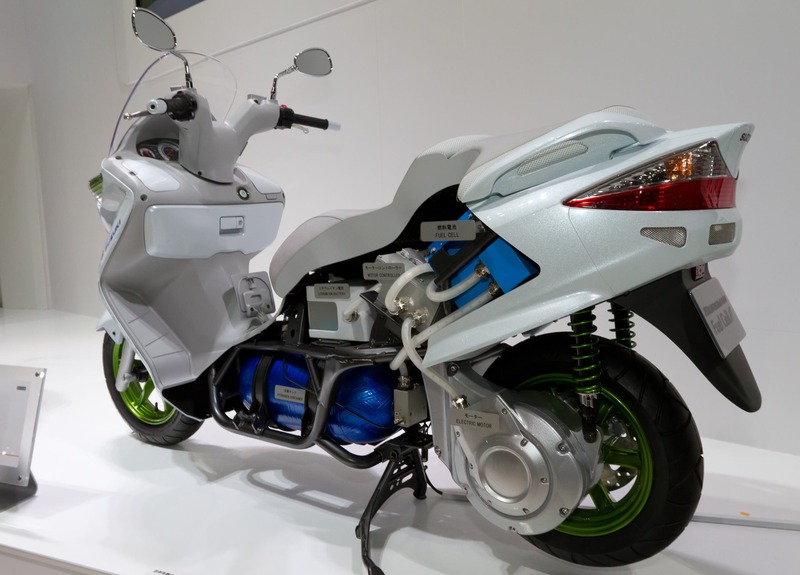 Like Honda, it has been trying harder to build fuel-cell two-wheelers than battery-electric ones. This 2011 Suzuki Burgman fuel cell scooter prototype actually received approval for sale in Europe, but hasn’t been commercially produced. It followed a 2007 motorcycle fuel cell concept. The company actually tried an electric scooter in 2011 as well, but it didn’t do well. Suzuki’s current plans for electric vehicles appear to be focused on the India market, where it is the leader in the 125cc scooter segment with its Access brand. The company is intending to release electric scooters in India in 2020, per reports. Of the four major Japanese two-wheeler manufacturers, only Yamaha appears to be ahead of the game, with Kawasaki at least showing strong signs of understanding the market. Honda and Suzuki have some catching up to do.